R.C. Orlan does not have any MLB stats for the season. Draft: 2012, Washington Nationals, 30th rd. April 3, 2019 LHP R.C. Orlan assigned to Columbus Clippers from Akron RubberDucks. 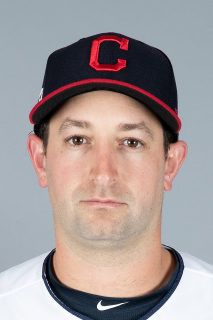 October 25, 2018 Cleveland Indians signed free agent LHP R.C. Orlan to a minor league contract and invited him to spring training. September 5, 2018 LHP R.C. Orlan assigned to Akron RubberDucks from Columbus Clippers. August 29, 2018 LHP R.C. Orlan assigned to Columbus Clippers from Akron RubberDucks. August 2, 2018 LHP R.C. Orlan assigned to Akron RubberDucks from Lynchburg Hillcats. July 18, 2018 LHP R.C. Orlan assigned to Lynchburg Hillcats from Akron RubberDucks. July 14, 2018 LHP R.C. Orlan assigned to Akron RubberDucks from Lake County Captains. July 12, 2018 LHP R.C. Orlan assigned to Lake County Captains from Akron RubberDucks. July 3, 2018 Akron RubberDucks sent LHP R.C. Orlan on a rehab assignment to AZL Indians 2. June 30, 2018 Akron RubberDucks sent LHP R.C. Orlan on a rehab assignment to AZL Indians 1. June 22, 2018 sent LHP R.C. Orlan on a rehab assignment to AZL Indians 2. April 5, 2018 LHP R.C. Orlan assigned to Akron RubberDucks from Columbus Clippers. December 14, 2017 Columbus Clippers claimed LHP R.C. Orlan off waivers from Potomac Nationals. July 17, 2017 LHP R.C. Orlan assigned to Potomac Nationals from Harrisburg Senators. April 18, 2017 LHP R.C. Orlan assigned to Harrisburg Senators from Potomac Nationals. March 22, 2017 LHP R.C. Orlan assigned to Washington Nationals. March 17, 2016 LHP Robert Orlan assigned to Washington Nationals. August 6, 2015 LHP R.C. Orlan assigned to Potomac Nationals from Hagerstown Suns. July 27, 2015 LHP Robert Orlan assigned to Hagerstown Suns from Potomac Nationals. July 25, 2015 LHP Robert Orlan assigned to Potomac Nationals from Hagerstown Suns. July 13, 2015 LHP Robert Orlan assigned to Potomac Nationals. April 7, 2015 LHP Robert Orlan assigned to Hagerstown Suns from Auburn Doubledays. June 3, 2014 LHP Robert Orlan assigned to Auburn Doubledays from Hagerstown Suns. May 7, 2014 LHP Robert Orlan assigned to Hagerstown Suns from Auburn Doubledays. June 17, 2013 LHP Robert Orlan assigned to Auburn Doubledays from GCL Nationals. January 18, 2013 Robert Orlan assigned to GCL Nationals. January 17, 2013 Washington Nationals signed LHP Robert Orlan.